Scott and I have 12 children together with 30 grand-children and one more on the way:) Holidays are More…busy for sure!! After high school I attended Dixie College and was in a stewardess program which took me there. I got my Associates Degree and went on to the U of U. I was majoring in Sociology and minoring in Social Work. I never did finish, which would've helped me in the future to come for sure! I stopped to work full time and was married to Jeff Miller who had attended Olympus. I worked as a dental assistant for a dentist who was opening his practice. The experience was a good one. At the age of almost 24, I had our first child---and was able to be a stay-at-home Mom for 25 years. We had 7 children, living in West Jordan, and Willow Creek. My children attended both Brighton and Skyline--(of course which I was proud!) One son played football for Skyline. Jeff and I were married 25 years. When we divorced, I needed to work, so I was lucky to land a job at a structural engineering firm downtown as a receptionist---Dunn Associates. This job was so good for me and helped me survive with the pay and benefits. I am grateful for so many that helped me through this part of my life. I was at Dunn Associates for almost 5 years. It was during this time that Scott Savage and I met up again. 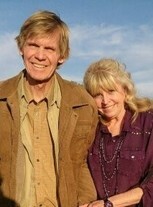 Scott had also gone to Dixie College in 1970 and we had sung together but never dated. Scott also graduated in 1970 and had gone to East High. I am so grateful that I have him in my life. Scott has been living with MS for about 20 years, and I am just glad that I can take care of him and him of me. We have been married 15 years... I then worked as an Administrative assistant for a little over a year. I have also been a "Cheese Monger" at HARMONS in their Specialty Cheese as the manager and then a cashier. It was a blast to cut and wrap cheese over 250 kinds of cheese and educate and have people sample cheese and cup open 80 lb. wheels of Parmesan Reggiano from Italy! I left in Harmons Grocery in April 2012 as Scott had triple by-pass surgery and I needed to take a family leave of absence to care for him. I have been a cashier at Smiths Food & Drug, for 5 years. 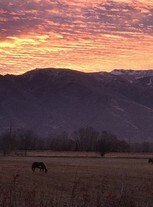 We moved from Herriman this last January 2017 to beautiful South Weber and are loving it. We have a pasture on two sides of our home and it is a peaceful, lovely place. Some of the things that I recall about my High School memories are that for me they are good memories. I felt like I was surrounded by all of you. I tried to reach out to all that I could, by learning from people. I think that sometimes people think that they only think some people are popular, or involved or remembered or revered. High school isn't fun for many and I realize that. But, for me, during that time, and always, my heroes are many from all walks of life. I remember people who I thought were brilliant and incredibly smart, like Clark Fetzer, Mark Brady, Darwin Ross, Sue Kesler, Wayne Bateman, Rosemary and Russ Brown and Reese Newman. I was sure that they thought I was pretty dumb or at least I felt that way next to them, because they just knew so much in class. I remember fondly listening to the school hymn whenever sung---and seeing the faces of those in the choir singing. The melody and harmony still makes me cry, because I love that song, as do so many of the songs. Dr. Ripplinger was amazing...I wanted to be in the concert choir, but didn't have enough elective choices. Denis Hopkinson's voice, my sweet friend, Margie Paulson, Mel and Vicki Short, singing "Truly Scrumptious" and meaning it, literally:) George Sansom...where are you? My cheer-leading partner, who lifted me up once, and I landed on his head. My mother brought a box of Wheaties for him, and sent it over the wall during a game to him. Basketball games watching Belmont Anderson and hoping I got a smile from him. When I was a junior, going out with Steve Maero sp? who was a senior and I couldn't believe he would invite me out. Falling down the stairs face first, in my dress and nylons into the courtyard as a sophomore and a big senior guy picking me up as I cried with holes in my nylons, banged up and shaking...the football player asking, "Are you okay?" I was grateful he cared. Victor Checketts who proudly knows so many facts that we love asking him about. I loved being in dance club because I loved to dance. I loved the State Championship Football game--cheering in the freezing cold. My sophomore year, going to my first dance with Mark Bernsten in a pink formal. He was so sweet to me. I think we were both quite scared of the whole new experience. I have memories of many good things and people. Thank you for giving me part of my growing up and helping me become some of who I am. There are still friends of mine that have remained dear friends with me. Paul Tingey helped inspire much of my empathy for my dear husband Scott and how he fought and bravely dealt with his MS. Of so many things that I have learned, I know that everyone in this world has struggled with loss and grief, heartache and pain. We've known happiness and true joy and hopefully peace. I salute all of you and the many roads and journeys you have taken. Luanne Briggs Savage has a birthday today. Luanne Briggs Savage updated profile. View. Luanne Briggs Savage changed "Now" picture. Luanne Briggs Savage added a photo to profile gallery. Luanne Briggs Savage changed profile picture. Kent Barr posted a message on Luanne Briggs' Profile. 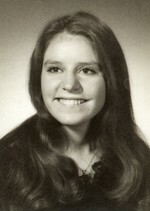 Luanne Briggs Savage added a comment on Profile. New comment added. On August 14-15, 2009, more than 200 classmates, spouses, and friends of the class of '69 gathered in a two-day event. This video recalls what a few of our teachers remember about us. Luanne Briggs Savage added a comment on Profile. Luanne Briggs Savage added a photo to profile gallery. New comment added. Summer 2014. A photo with my 7 children, Scott and I, and our grandchildren, taken in July at Wheller Farm. Quite a feat! Lots of fun! So rewarding...and my heart is always full! Obviously, lu as a Senior---with many awesome people whom she still admires, who became mentors and continue to this day to influence her. I really do love people---and have tried to teach my children to accept, learn from and love these human beings that we are able to grow with every day. I hope that this is how I am remembered, because I wanted to be a friend to all. I always say to people..."once a cheerleader, always a cheerleader!" Sometimes I feel bad about all the razzzing they get, but I hope that I tried to be one that was kind and that had a lot of fun and was friendly. I was a cheerleader in junior high, high school, and two years at Dixie, and I loved it. Being a songleader at Dixie I got to use my dance experience a lot more which I loved. This is a picture of my sweet Scott Savage a few years before he was diagnosed with MS. I love this picture, because this is how I remember him at Dixie and the way he looked when he played High School sports where we went to East High --Scott played Baseball and Football. He went on to play at Dixie and also for the U of U in both sports. He is on a vacation in Cal. here...He also has a beautiful voice and plays the guitar. When we first met each other at Dixie we sang together and ultimately, music is what brought us back together. My daughter Christina, my 2nd, got married 13 years ago. This picture, although I was going through my divorce and it was hard, reminds me when I look at it, that I had lots of good things to come in the future. Scott was the first person that took me to Moab 8 years ago. It was awesome. We climbed Arches together and he made it! It is a lot of work for him, but he's amazing. Scott and I together at my Mother's home about 7 years ago. She now lives in St. George as does my sister and her family. We of course, love visiting there as it reminds us of our beginning.